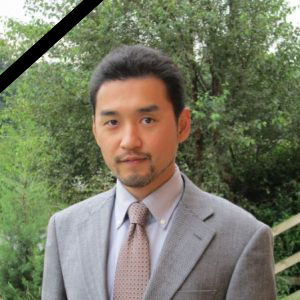 Chikara Hashimoto received his Ph.D. in International Politics from Aberystwyth University, the UK, where he also holds a BScEcon in International Politics and Intelligence Studies and an MScEcon in International History and Intelligence Studies. He is Assistant Professor in International Relations, University of Sharjah, the UAE, and Assistant Editor of Intelligence and National Security. Before assuming his last post at the University of Sharjah since 2014, he taught at both undergraduate and post-graduate levels at Aberystwyth University and also worked as Research Assistant to Professor Len Scott. His doctoral thesis was awarded the British Society for Middle Eastern Studies (BRISMES) Leigh Douglas Memorial Prize for the best Ph.D. dissertation on a Middle Eastern topic of 2014. His book based on his PhD, British Intelligence and Counter-Subversion in the Middle East, 1948-1963, is forthcoming by the Edinburgh University Press. He has a number of publications in referred journals, such as Intelligence and National Security, the International History Review, and Middle Eastern Studies, as well as more than 35 articles/book chapters written in Japanese. His research interests are primarily centred in the fields of Intelligence Studies, International/Homeland Security, Cold War History, and International History. Topics of research interests include intelligence cooperation, counter-intelligence, counter-espionage, counter-subversion, strategic deception, British Intelligence, Middle Eastern intelligence services, diplomacy and secret intelligence, Cold War History, and UAE’s national critical infrastructure protection. His current research projects are a history of the Lebanese Secret Police, intelligence liaison between the CIA and SAVAK, and UAE’s critical infrastructure protection. In addition to teaching, he also organised a series of conferences and workshops such as ‘The Cuban Missile Crisis: A Fifty Year Retrospective Assessment’ (Gregynog, University of Wales Conference Centre, 25th – 27th October 2012).